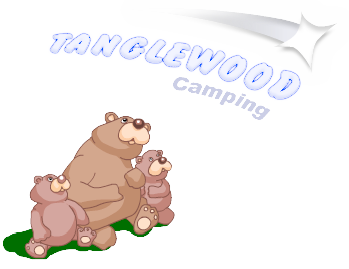 Tanglewood Camping RV Park is one of the best places in Pennsylvania’s “Lake & Canyon Country” for star gazing and relaxing, as well as fun planned activities for the kids. When you are camping with us, you’ll feel you not only can watch the stars, but you can almost reach out and touch them. That’s just one of the magical things that can happen when you camp with us on Mount Tanglewood! We have outdoor games like baseball, volleyball, or swimming and license-free fishing on our 5 acre spring fed lake. Our paddle boat rentals, bike and hiking trails are also fun for the family! We feature lovely cabins, spacious RV spaces and secluded campsites and can comfortably accommodate church groups, Boy and Girl Scout troops and other large gatherings.